I avoided most of the promo materials for both dramas and I know I did the right thing since starting a drama with littlest information in my head proves to be better than knowing everything even before the drama airs. It’s just that I think knowing too much will make the watching experience turns stale faster and I’ll lose interest in the drama faster too. Hence, I didn’t even bother to check on the characters’ names before watching and learned their names along the way of watching the first episode. A short synopsis: Shark tells the story of a man Han Yi-soo (Kim Nam-gil) who returns to Korea after changing his identity to Yoshimura Jun/Kim Joon with the intention to avenge his father’s death. His target is a family who happens to be the family of the woman who was also his first love, Jo Hae-woo (Son Ye-jin). My first impression on Shark is: pretty. So pretty and glossy, it reminds me of That Winter, the Wind Blows. It doesn’t help that Kim Gyu-chul is playing one of the characters in Shark, Hae-woo’s father Jo Ui-seon, and he was the fatherly Attorney Jang in That Winter. The directors didn’t work on That Winter and one of the directors worked on Bridal Mask before. Must be the camera used…but hey, I can’t complain when there’s so much pretty to look at, especially Son Ye-jin and Nam Bo-ra. She’s so cute and pretty and adorable! There are only short glimpses on the adult version of the characters and in the first episode, the focus in on their past as teenagers. Apart from Kim Nam-gil and Son Ye-jin, the other adult version of the characters are Han Yi-hyun (Nam Bo-ra), Oh Jun-young (Ha Suk-jin), and Kim Dong-soo (Lee Shi-eon). 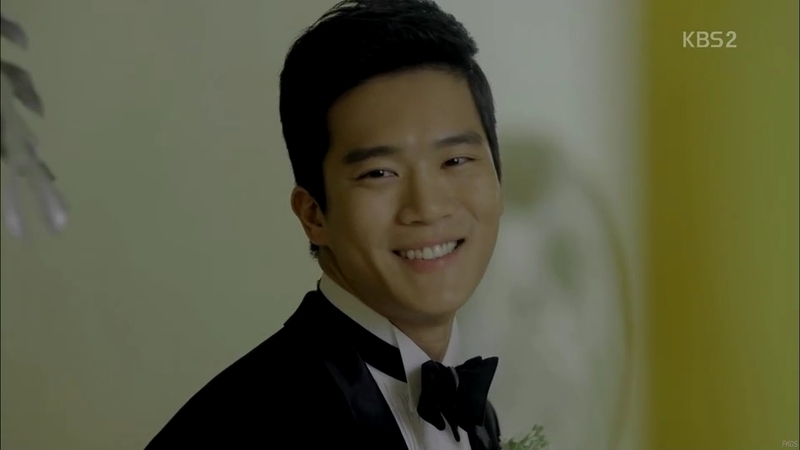 Ha Suk-jin is hawt (!) and Lee Shi-eon’s Kim Dong-soo reminds me of his chirpy Bang Sung-jae in Answer Me, 1997. Similar characters, even with the saturi! Even his younger version is speaking in saturi! I think I’m enjoying the first episode because of the younger version of the characters, which take up most of the screen time. The younger Jo Hae-woo (Kyung Soo-jin) is shown as a daughter of a wealthy family but because of her father’s affairs, her parents are having conflicts, causing her to live in an unhappy home. The younger Han Yi-soo (Yeon Jun-seok) is the son of Hae-woo’s family driver who just moved into the house and he’s studying hard to help his family, which consists of himself, his younger sister Yi-hyun (Ahn Seo-hyun) and his father Driver Han (Jung In-ki). Yi-soo soon finds himself falling for the outspoken Hae-woo who seems to be made of steel on the outside but inside, she’s just as brittle as glass. The real surprise for me is when No Young-hak appears on the screen. I am so happy that I squeal loudly when I see his face among the students! He plays the younger version of Oh Jun-young, who’s a close friend of Hae-woo since their families are close. Jun-young is a year older than Hae-woo while Yi-soo is in the same class as her, but I find it funny that Jun-young is actually older than Yi-soo. Yeon Jun-seok, why you’re so tall? The first episode is just a glimpse of what their future will be. From the past and the present shown, so many things have changed, for instance Jun-young is already married to Hae-woo while Yi-soo has shown his face in front of Hae-woo, who seems to recognize him. I guess the shark theme is inevitable and it is going to be used regularly since Yi-soo does a long speech about the pitiful shark and the shark necklace will probably going to make its appearance in episode 2, according to the preview. I can say that I like the pilot episode, but it’s still a big question mark whether I’ll be able to follow it closely or not due to my busy schedule. But….revenge is my favorite nowadays and makjang is something inevitable when it comes to most revenge dramas. Dear Shark, please continue to be in my good book! 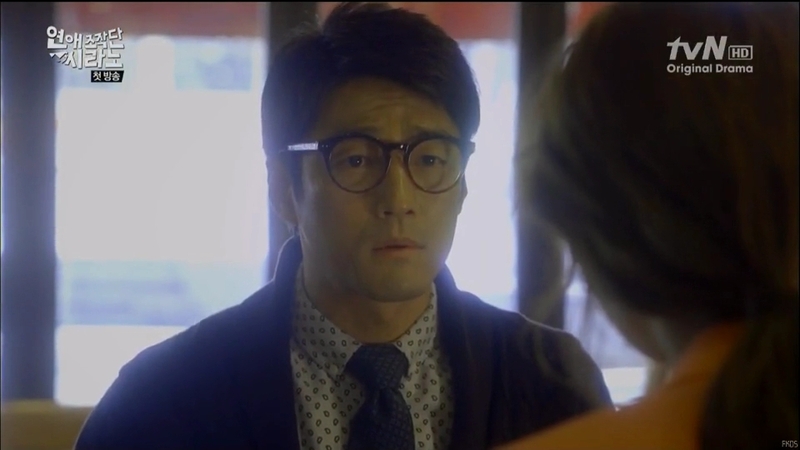 As for Dating Agency: Cyrano, it’s the complete opposite of Shark. With its quirky premise right off the bat, I am enjoying every moment of it. First impression of the drama: squee-worthy! The fourth installment of Oh!Boy project is adapted from the movie Cyrano Dating Agency and it’s just normal to be reminded of the movie when I watch the first episode. The pilot episode takes off from the point where our heroine Gong Min-young (Choi Sooyoung of SNSD), who is working at a matchmaking company, is helping one of her clients, Sun Jung-nam (cameo by Ji Jin-hee) to woo his crush Sul Yoo-jin (cameo by Lee Chung-ah). Things take another turn when her perfectly planned mission is intercepted by another man in black coat (Lee Jong-hyuk). Min-young then accidentally finds out about the business run by the man, Seo Byung-hoon together with his two minions, technical specialist of the team Moo-jin (Hong Jong-hyun) and unknown expertise Arang (Jo Yun-woo). She’s recruited by Byung-hoon to be a part of the team since she’s on the verge of getting fired (since it’s against her company’s policy to set up a date between clients from different classes: Jung-nam is in the F group while Yoo-jin is the in the A-list) and she wants to help people find their true love, but Min-young thinks it’s just a business used to trick people. However, she soon realizes what she truly wants and heads back to the company, Cyrano Agency. The agency is set up as Byung-hoon is desperate for money to maintain the theater, which also houses the company. The neighbour of the theater is a restaurant owned by ‘Master’ Cha Seung-pyo (Lee Chun-hee!!) and he’s well aware of the agency’s business, including the frequent visits by the loan sharks to make Byung-hoon pay his debts. Desperate for more money, the agency is forced to take another client, a vet Jin Jun-hyuk (a cameo by Im Hyung-joon). The doctor is harboring a secret crush on a librarian Ma Jae-in (a cameo by Lee Yoon-ji) and thus begin the first assignment of the team with their new member Min-young. I don’t know why I’m so excited after watching the episode…maybe because it makes me laugh so much? Probably yes! I liked the movie and it’s so much better to love its drama version. It’s too early to say that I love it, afraid that I’ll jinx it, but I yes, I am loving it and I can feel myself falling deeper for it! I actually tuned in for Lee Chun-hee as I couldn’t seem to take my eyes off him when I saw several pictures released before. He looks mighty fine over here, but Lee Jong-suk is trying to steal his limelight in my eyes. Uh-oh, this is bad! Surprisingly, Sooyoung is pretty good in this episode. There’s not much known about her character Min-young but I like her pleasant appearance. Min-young is balancing the detailed Byung-hoon with her simplicity but I’m sure she’ll learn the skills as she goes along the way with the team. Hong Jong-hyun looks comfortable with his portrayal as Moo-jin and I’m intrigued with his habit of playing with the Rubik cube. Maybe there’s a story behind it? Also, I’m looking forward to Arang’s special skills, apart from becoming the additional characters in their missions. I can’t wait to see how their next missions will turn out. Praying that it will continue to be awesome and I won’t be super busy to catch up on the drama! The hotel for Hae-woo’s wedding in Shark seems to be the same hotel in Five Fingers, where important functions of Boosung were held at. Lee Chun-hee’s character is a chef and it reminds me of his character in The Thousandth Man. He probably uses the skills he learned for that drama in Cyrano. Both Shark and Cyrano reminds me of Uhm Tae-woong; he acted in the other dramas from the producer and writer of Shark, which were Ressurection and Mawang, while he also acted in the movie version of Cyrano. Oh thank goodness for “Cyrano.” I thought that we were going to be in a dearth of happy rom-coms for eternity. Same here. I think this is going to be my happiness+sanity pill from now on! Thank you for the post. I’m kinda looking forward to watch Cyrano, mostly because of Lee Chun Hee (and Lee Jonghyuk). Still skeptical regarding Sooyoung, but I’m going to judge her acting after I’ll watch at least 4 episodes. Hm I already let the synopsis of Shark permeate into my mind. T_T I thought it sounded too melodramatic for me. The Cyrano drama sounds super fun especially since it’s about a dating agency. In general the dating agency concept always has potential to be funny and interesting! Yeah, it is going straight into the makjang melo land~ I really recommend Cyrano if you’re looking for a funny and breezy romcom! We really need more of these kind of drama. Thank god for cable channels like tvn! I only read the parts about Shark because I haven’t managed to see Cyrano yet. (I know what have I been doing with my life?) But I agree the show was just so pretty! The younger versions really drew me into the story and I think I’ll miss them a lot once we move on. Me too. Episode 2 made me realize that I love the younger cast A LOT and I’ll miss them like crazy. Cyrano lost me, don’t know why, and Shark is losing me. Weird because I like the male leads in both, and love the former Vampire Idols in them too. i’ve just finished watching cyrano, 3 day ago. and i had so much fun. love the story line, the cast, the ost & the actors. i rated 5 stars out of 5.